20 Apr What Is a Diamond Certificate? If you have sold or considered selling a piece of diamond jewelry, then you have probably heard of diamond certification. When you visit an official diamond buyer, they always ask if you have a diamond certificate for your piece. Maybe you were confused by the question since you didn’t really know what it was. As this certificate is essential when it comes to diamond buying and selling, let’s explain the ins and outs of diamond certification once and for all. A diamond certificate is a document that describes a diamond in all of its characteristics. The document has to be issued by an objective third party lab. One of the most famous labs that issue such documents is the GIA – Gemological Institute of America. The certificate has to describe a variety of elements of the diamond. For example, clarity, color, width, and length. Trained professionals evaluate diamonds by using specialized tools. The most important thing about a diamond certificate is the institution behind it. It is crucial that the lab issuing your certificate is reliable and trustworthy. Since diamond certificates aren’t created equal, the safest thing to do is go to a dependable lab. 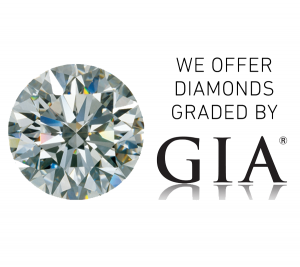 The best choice would be the GIA – the most well-respected and renowned diamond grading institution. Their incredible consistency always provides a piece of mind. If you too have a diamond you wish to sell, consider visiting The Gold ATM – Atlanta’s highest-reviewed and most trusted diamond buyer. With over 250 five-star reviews on Google, we are the leader in the area. We offer the most competitive rates for both diamonds and diamond jewelry. In addition, we offer jewelry loans on all diamond jewelry. Our mission is to provide the best customer service and teach our customers as much as possible. You can learn about the finer details of your diamonds at our offices, as we lead you through the evaluation process. Furthermore, we have created a pressure-free environment for our customers where you can feel at ease. There is absolutely no pressure to sell. If you are looking to sell your diamond jewelry, visit The Gold ATM website for more information on our diamond buying process. Feel free to contact us at any time, and come experience The Gold ATM for yourself.